written by jacob, on Mar 7, 2015 1:16:00 AM. About a week ago the news that John Pinner had passed away reached me. Even though I had known for quite some time that John was struggling with cancer, it still came as a chock to me. I had so looked forward to meeting him at Europython in Bilbao this summer. John was a very good friend to me and Laura and he was an outsanding member of the Python community. When we first met at one of the early Eurpythons in Charleroi, I didn’t really register him. There were so many new people to get to know and John was not the sort of person who puts himself forward. Over the years our friendship grew and I realized what a fantastic mind was hidden behind the modest facade. We met at the first Pycon in Washington DC. John came and helped out when we arranged Europython in Göteborg and in Vilnius. I was there when he declared at the ACCU conference in Oxford that he intended to start a Python conference in Birmingham and Laura and were there to help when the Pycon UK people took over Europython. There were lots of wonderful people organising the conference, but John was the central driving force behind it all. 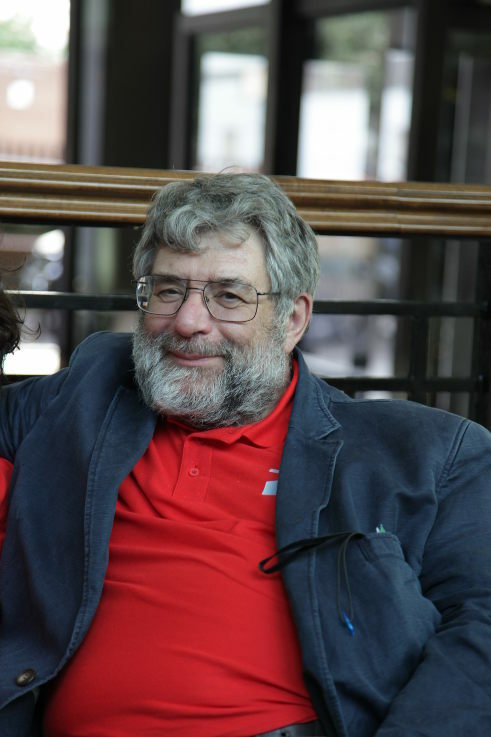 He was the one who managed to get sir Tony Hoare to come to Europython and he managed to get the Enigma machine as a major event at the conference. He was always good at creating new and interesting events at the conferences. On top of that, he would often teach introductions to Python, both at his company and as a volunteer activity at Python conferences. In summary, John did a lot for the Python community, but that fades into the background for me, because first and foremost John was such a great friend. He was always generous with his time and always had the most intersting things to talk about and discuss. We shared the same kind of humour and an interest in industrial history. He had an enormous treasure trove of stories about the industrial development around the Birmingham area and could tell you all about the various car manufactures, now long gone. It was where he started out his career before getting interested in computers. An example of Johns generosity that comes to mind is when I was a keynote speaker at Pycon UK a couple of years ago. Laura and I arrived to the railway station in Coventry. John had insisted on coming and picking us up, even though he was very busy with the arrangements for the conference. On the way to the conference center, he explained the road layout of Coventry and updated us on everything that was happening with his family and his second family - the Python organisation. We went to the conference venue, where we helped with some tasks before we headed out for a late dinner at a pub. After the pub, John insisted on showing us the Coventry Cathedral by night. We tried to convince him that he would use his time better by going home and preparing his Python tutorial for the next day and then getting some sleep, but he wouldn’t listen to that. It was clear that bringing us to a place he thought was very beautiful brough a lot of joy. This is just one of the times when John did something special for me, and I know he did the same for may other people. He was such a wonderful friend, and I deeply miss him. Sad news. I can’t say that I knew John very well, but we also met there in Charleroi and I ‘ve had occational contact with him since. Even though our paths only crossed a few times, he always felt empathic and encouraging. I will miss him.